This issue includes key information on 'the Path to Excellence', which will see us working in partnership with local councils and NHS partner organisations across South Tyneside and Sunderland to create the best possible improvements for health and care. We are delighted to be involved in the regional roll out of a new app to help parents get timely information to help look after the health of their child. We also look at a new initiative which means patients can now book GP appointments online, our HealthPathways launch and, as always, a request for you to let us know about your patient stories. It's never too late decide to quit smoking but as we're still in October why not make your 28 day pledge to kick the habit as part of Stoptober? We're also proud to share information on our continued partnership with Mortimer Community College and our recent visit to the school. Finally there's also information on the flu vaccination programme. If you're in one of the at risk groups please look in to getting your flu jab as early as possible. The way that health and care is provided has dramatically improved over the past fifteen years thanks to the commitment of NHS staff and the advancements in medicines, medical technologies and medical training. But some challenges remain. The quality of care that people receive can vary, preventable illness is common and growing demands on the NHS means there is financial pressure on local organisations at a level never seen before. The needs and expectations of the public are also changing. We are living longer and often require different, more complex care. New treatments and medicines are emerging and the public want better care closer to home, and less care in hospital settings. 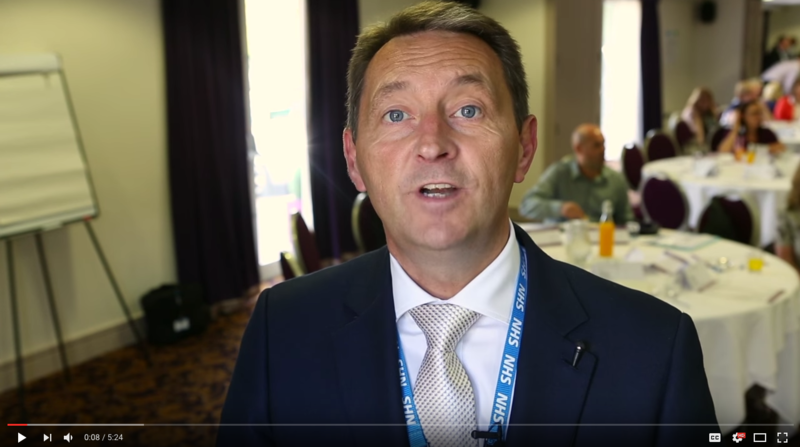 NHS guidance outlines how local health and care services will work together, as well as engaging and involving patients, carers and the wider public to develop and deliver a five-year plan based around the needs of the local population. This is to allow us to give patients the best clinical care, so they have the best chance of recovery and quality of life. In South Tyneside and Sunderland, as part of our five-year ‘Path to Excellence’ programme of transformation and reform, we’re finding new more collaborative ways of working together with South Tyneside and Sunderland Councils, partner NHS organisations, local CCGs and the voluntary and community sector to secure high-quality, safe, sustainable NHS healthcare for the people we serve. Despite the challenges facing our NHS, we strongly believe the people of South Tyneside and Sunderland deserve the very best hospital and community services to deliver the very best health outcomes possible for patients, and we are positive and optimistic that together we can achieve this. The Path to Excellence highlights how we must protect our most precious resource - our staff - and the training of our nurses, doctors and consultants. It also shows how we are involving clinical leaders in a programme of service reviews where they have a key role in developing better ways to organise services and care. to listen, learn and innovate. We now need the input of wider clinical staff across the hospitals, the GP community, other NHS organisations, the community and voluntary sector and, most importantly, patients and carers with experiences of the areas under review to get involved in generating ideas and helping to shape solutions. As set out in the NHS Constitution, access to health care is a right of everyone in the UK, and we are very clear that local people will continue to have locally accessible district hospitals in both South Tyneside and Sunderland, with a wide range of acute and emergency services and have access to a comprehensive, free, national health service. However, we need to recognise that in the very near future the NHS will need to change the way some key clinical services work across the two areas in order to ensure their sustainability, and in some cases protect them from becoming vulnerable. Any future changes to the way services are organised would only be made in order to improve the safety, care and future sustainability of those services. In many cases some of these changes will be small scale, only noticed as an improvement in patient experience. However, some changes such as to stroke and potentially maternity, could result in bigger changes to the way these services could be organised. It is very important to note that any large scale changes will only happen after public consultations when local people will have the chance to review proposals in detail and then comment on them. We will make any future proposals clear and make it easy for people to feedback their views – it’s really important to us that as many people as possible take the opportunity to understand the issues and get involved – this way we have the best possible information to help us make informed decisions. Over the coming months we will have lots of ways that you can get involved and opportunities to give your views. be able to participate as much or as little as you like. You can register for My NHS via our website or by calling us on the number below. We have also developed a dedicated website: www.pathtoexcellence.org.uk. The website will host links to surveys and registration for events once these become available. Community and voluntary sector organisations will be running events for service providers and holding focus groups for service users and carers. If you would like to get involved in these activities then please contact us. Follow us: twitter @NHSexcellence and facebook. The HealthPathways resource is accessible to GPs during clinical consultations with patients and will provide an up to date, step by step resource for the management of numerous clinical conditions. The project was launched in August with 80 pathways. Please click the video below for more information. These pathways represent a combination of those frequently used in Australasia, where the initiative originated, and those identified by primary and secondary care colleagues as the highest priority for South Tyneside, including chronic obstructive pulmonary disease, heart failure and diabetes. The flu vaccination programme began earlier this month as part of the Stay Well This Winter campaign, aimed at keeping vulnerable people well through winter and reducing pressures on the NHS. The aim of the national flu immunisation programme is to offer protection against the effects of flu to as many eligible people as possible, particularly those most at risk. There are more details on flu here. The app gives easy to understand guidance on childhood illnesses, helping to identify when a child is unwell, and advice on when and where to seek further treatment. The app is also available as a 115-page booklet. It has been created by healthcare professionals across the region as part of the North East Urgent and Emergency Care Network. The booklet and app contain everything from oral health, upset tummies and diarrhoea to advice on bumps and bruises. You can download the app from Google Play and the App Store by searching for NHS child health, or view the booklet online here or click here to view a short video. Patients in South Tyneside now have online access to health services, providing greater convenience, choice and control in how they access GP services. The new Patient Online system allows patients to order repeat prescriptions, make appointments and access their GP records. For more information please visit www.nhs.uk/patientonline. 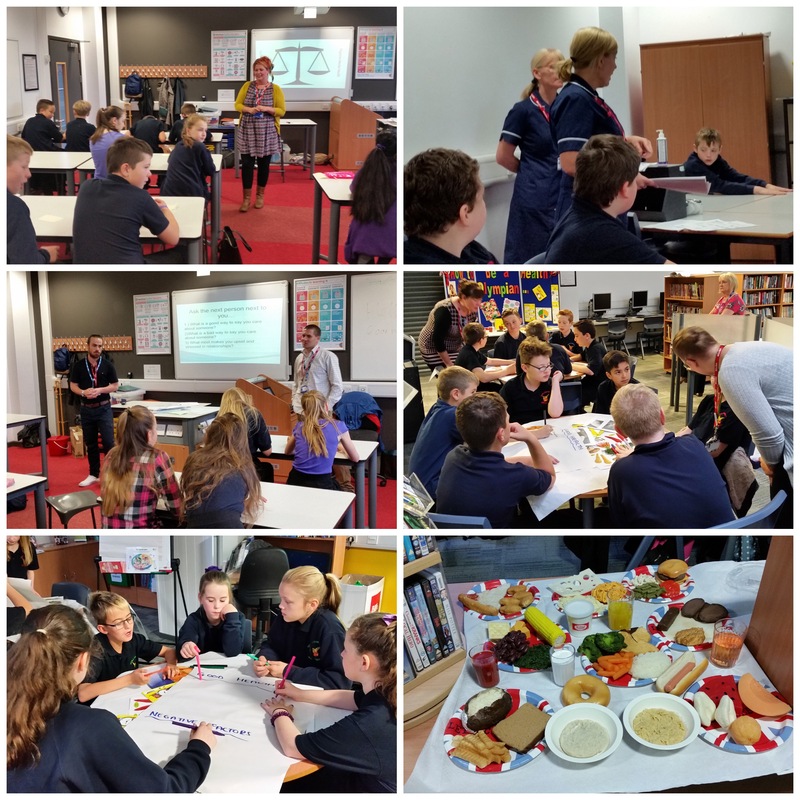 NHS staff recently attended a health morning for year seven pupils at Mortimer Community College. The event was one of several organised throughout the year by the CCG as part of the Business in the Community programme. The partnership with the school is now in its third year. Chair of NHS South Tyneside CCG, Dr Matthew Walmsley, said: “The health professionals involved always enjoy coming along to the school and passing on key health messages to pupils." Stoptober is back for 2016 to encourage smokers across England to make a quit attempt during October. Stoptober has driven almost 1 million quit attempts to date, with thousands more likely to take part this autumn, and this year there are plenty of ways for people and partners to get involved. Launched in 2012, Stoptober is the 28-day stop smoking challenge from Public Health England that encourages and supports smokers across England towards quitting for good. Stoptober is based on the insight that if you can stop smoking for 28-days, you are five times more likely to be able to stay quit for good. The campaign chunks down the quitting process, presents it as a more manageable 28 days and rallies people around a specific date to get started. For more information follow Stoptober on Twitter or visit the Facebook page. If you have a story you would like to share please contact Helen on 0191 283 1903 or email helen.ruffell@nhs.net.